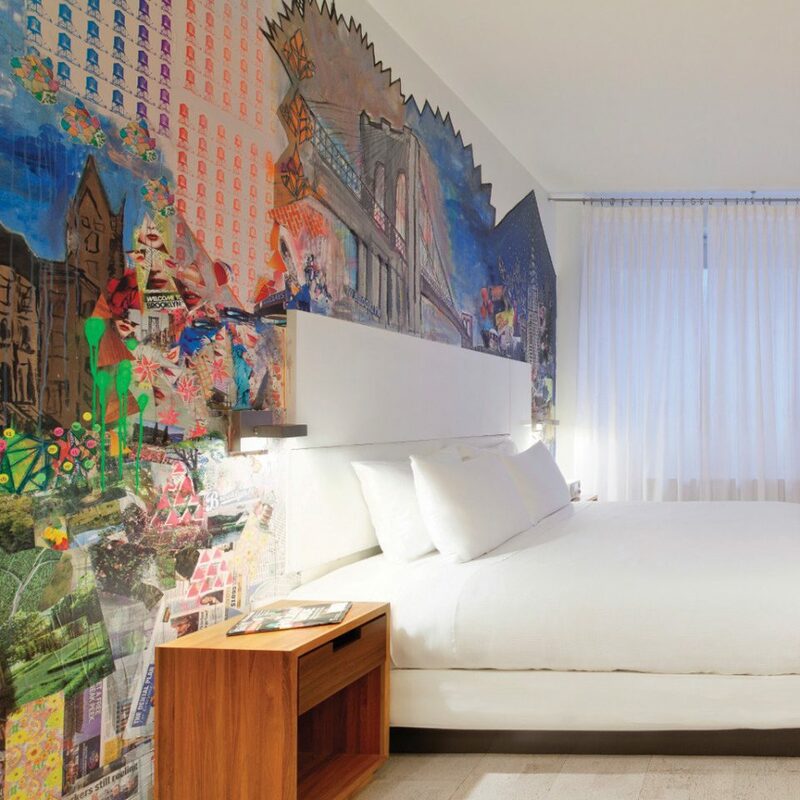 The Nu Hotel feels just like Brooklyn: young, quirky and modern. Geometric booths lit by a sculptural neon chandelier face picture windows framing views of the funky neighborhood types walking by. Throw in some recycled wood here, some vintage letters there, and you’ve got an ideal home base for exploring both this borough and the other one, which sits a short cab or subway ride across the river. 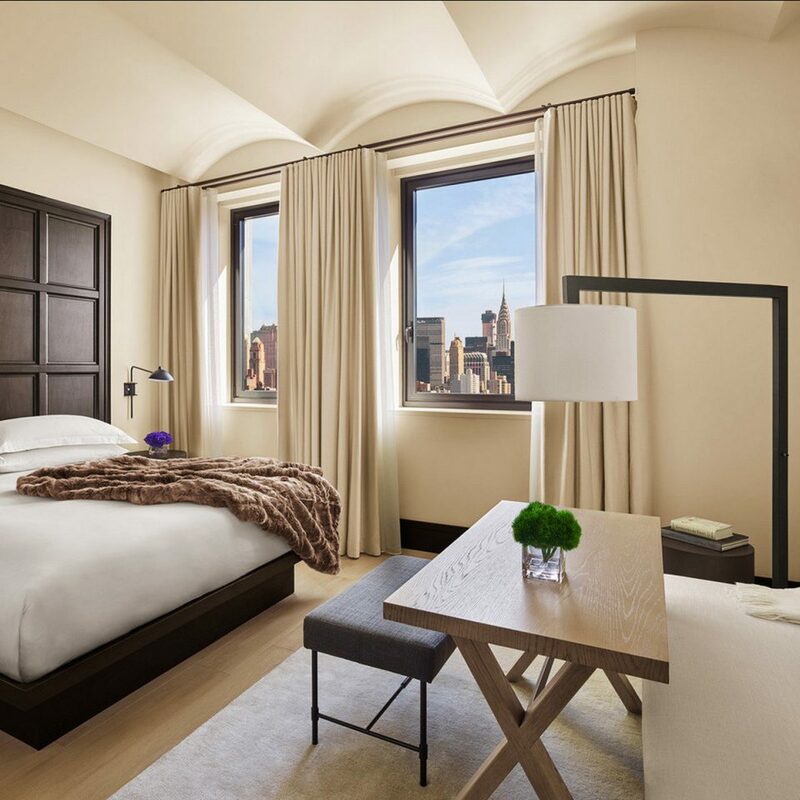 The 93 streamlined rooms make 335 square feet feel more like 500, thanks to lots of natural light, bright white walls and large windows. 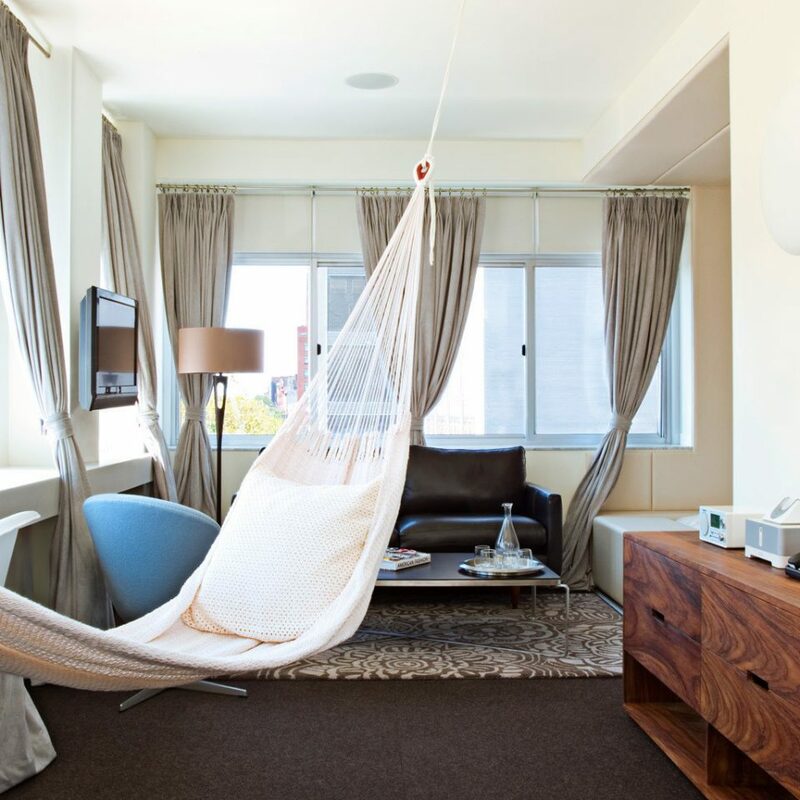 Custom-designed hammocks add a playful vibe without compromising space in the suites. 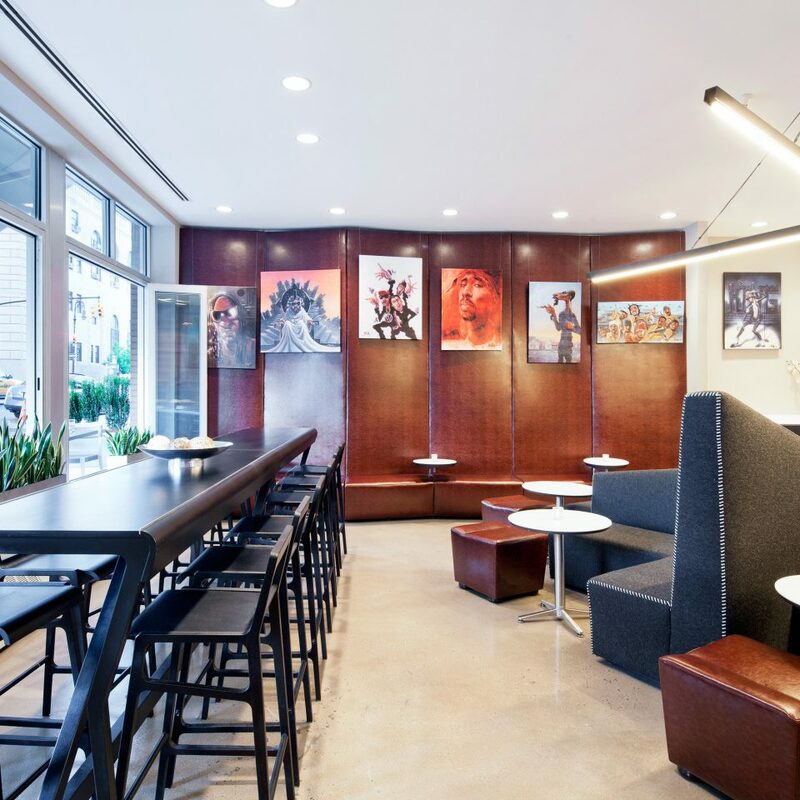 The artsy sensibility is underlined by rotating murals created by local artists, and chalkboards in the bathrooms for writing to-do’s or for channeling your inner Picasso. Best of all, you can feel good about your stay thanks to such eco-friendly features as organic linens, lead-free paint and cork flooring. 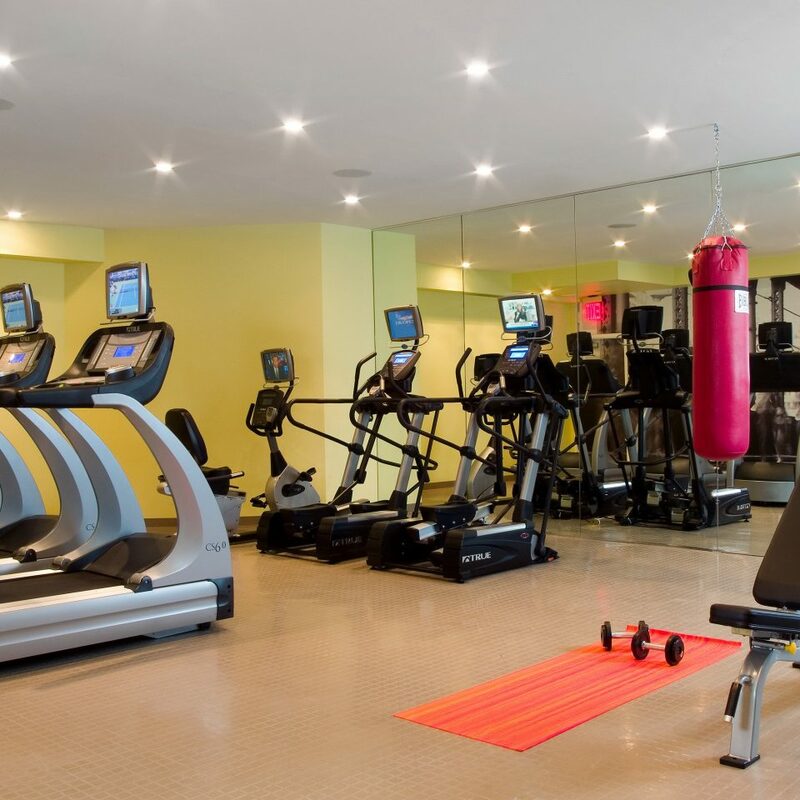 The Nu Hotel has the kind of amenities you’d expect to find at a much pricier hotel (like the state-of-the-art, 24/7 fitness center complete with machines, free weights, boxing equipment, yoga mats and more). They even offer cute bikes free of charge so you can combine fitness and sightseeing. 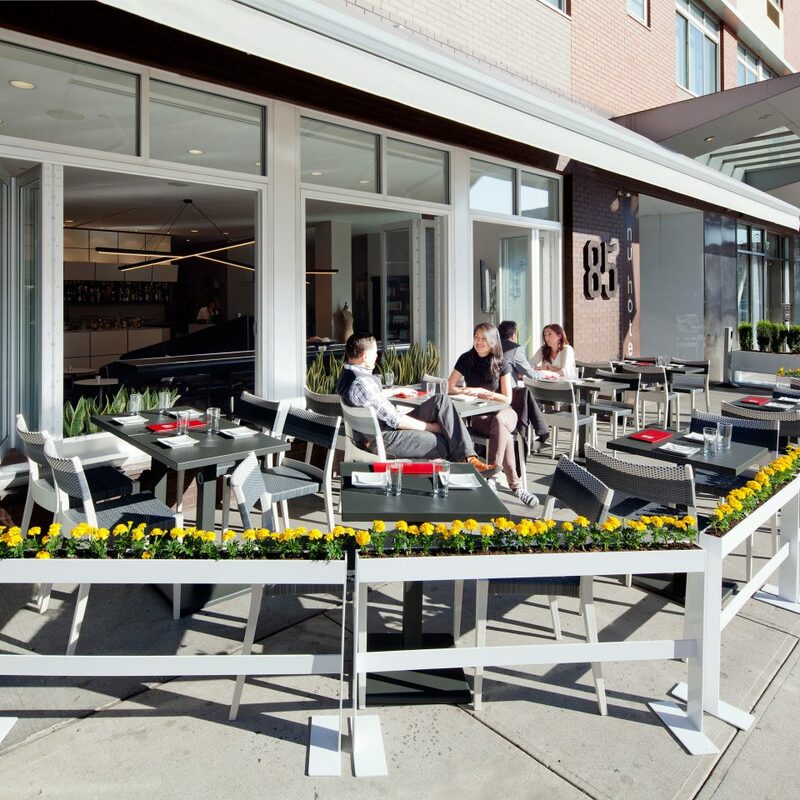 The hotel’s Misdemeanor sidewalk café and bar serves local brews, expertly mixed cocktails and fun tapas. 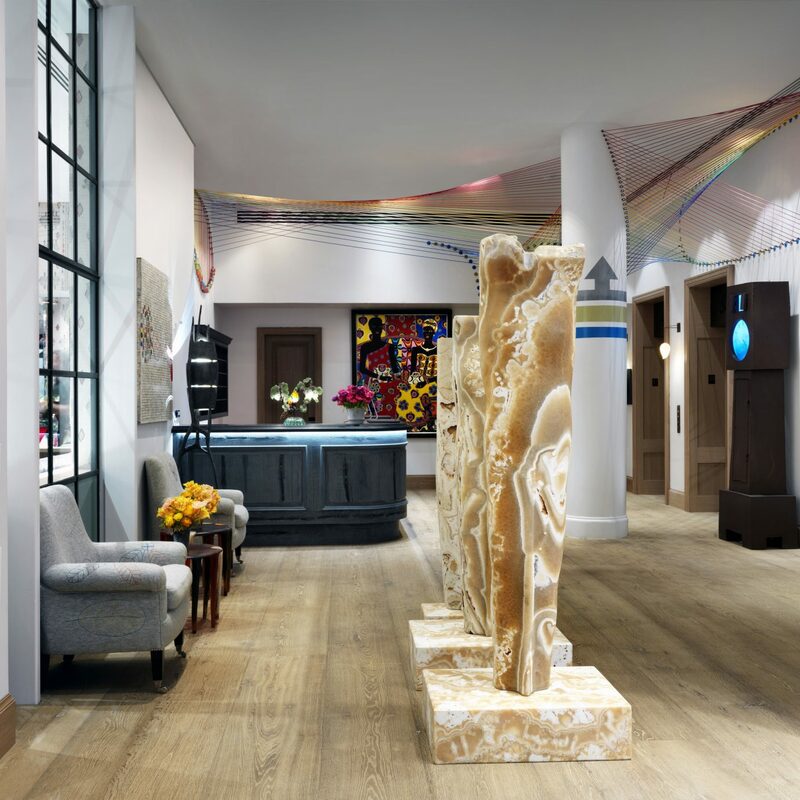 Located at the intersection of four Brooklyn neighborhoods — Downtown, Boerum Hill, Cobble Hill and Carroll Gardens — and a 20-minute subway ride away from Manhattan, the hotel is ideally located for exploring both boroughs. Want to stay local? Join the neighborhood crew curing their hangovers with breakfast sandwiches at the vintage cool Building on Bond, then shop the vintage stores and boutiques lining Atlantic Avenue (we love Hollander & Lexer). 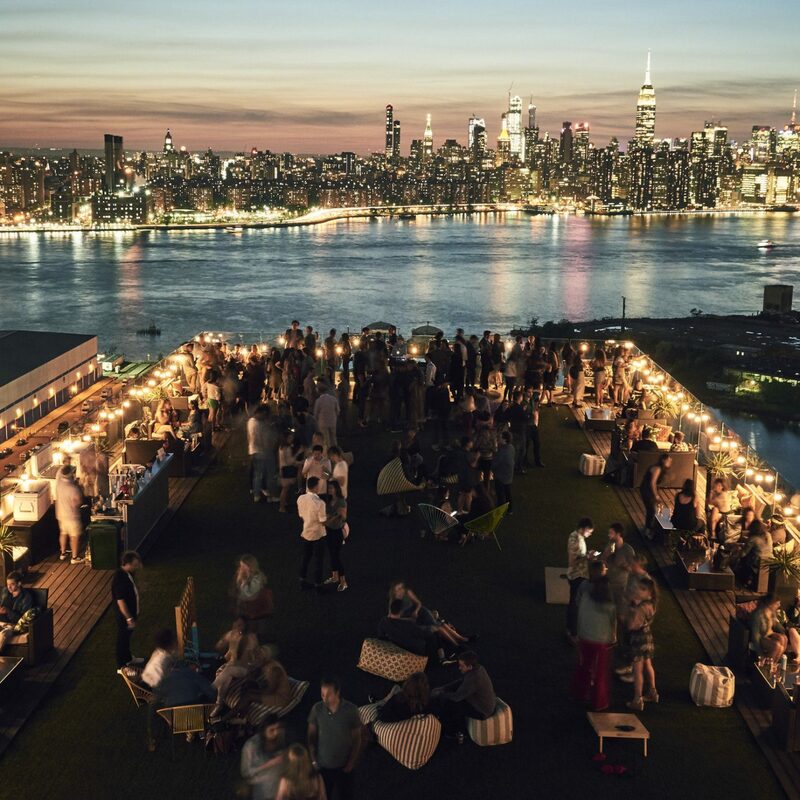 Borrow a free bike to explore the waterfront promenade, the antique carousel and cutting-edge 85-acre Brooklyn Bridge Park, with its postcard views of Manhattan. 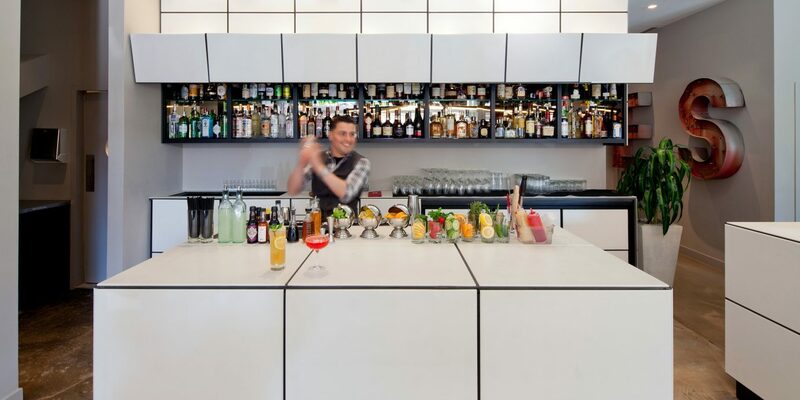 Then reward yourself with some speakeasy-style cocktails at the Clover Club before haute Southern fare at Char No. 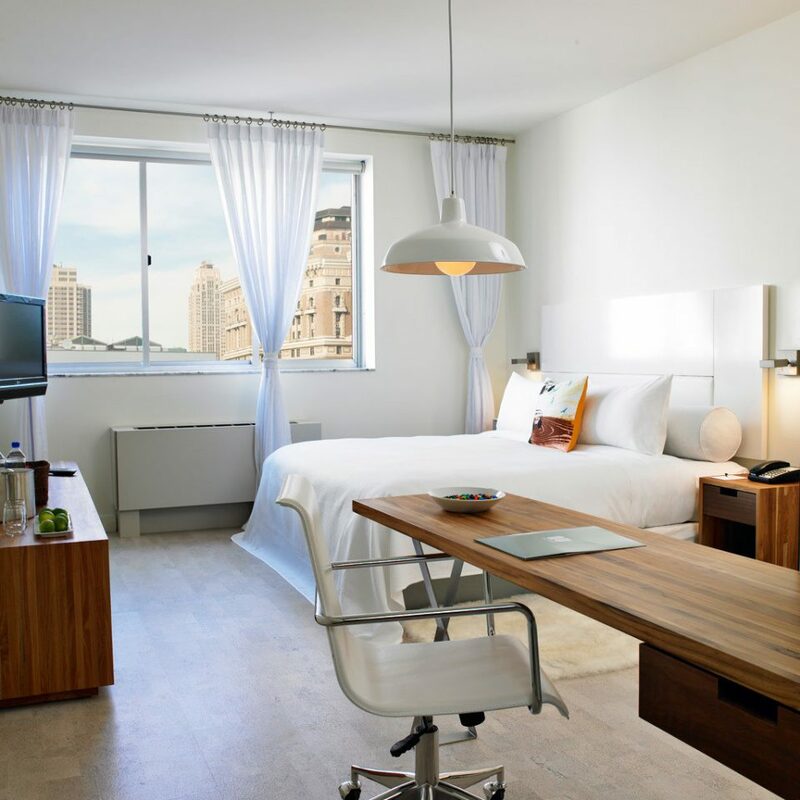 4.
during a recent stay in brooklyn & nyc, we found the nu hotel to be very convenient for getting around on the subway and in the brooklyn shopping neighborhood. it was quiet, clean and offered a very generous breakfast every morning. 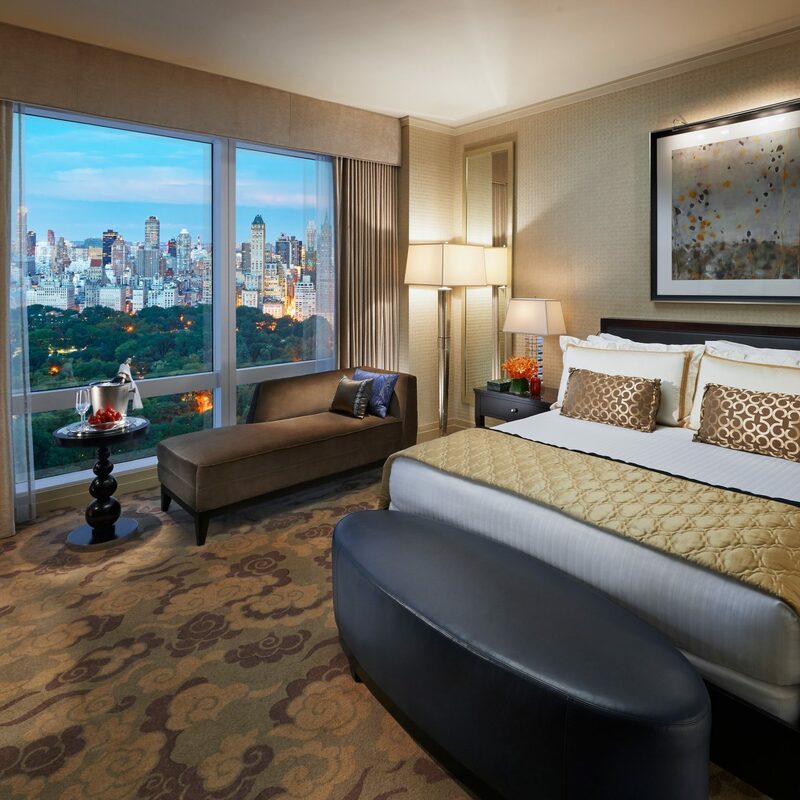 You need to stay at NU Hotel! We were so pleased with our five nights at this hotel, the rooms, the staff, the breakfast, the wi-fi, the towels and toiletries were all wonderful. The location is excellent, even if you aren't visiting your son in Brooklyn. 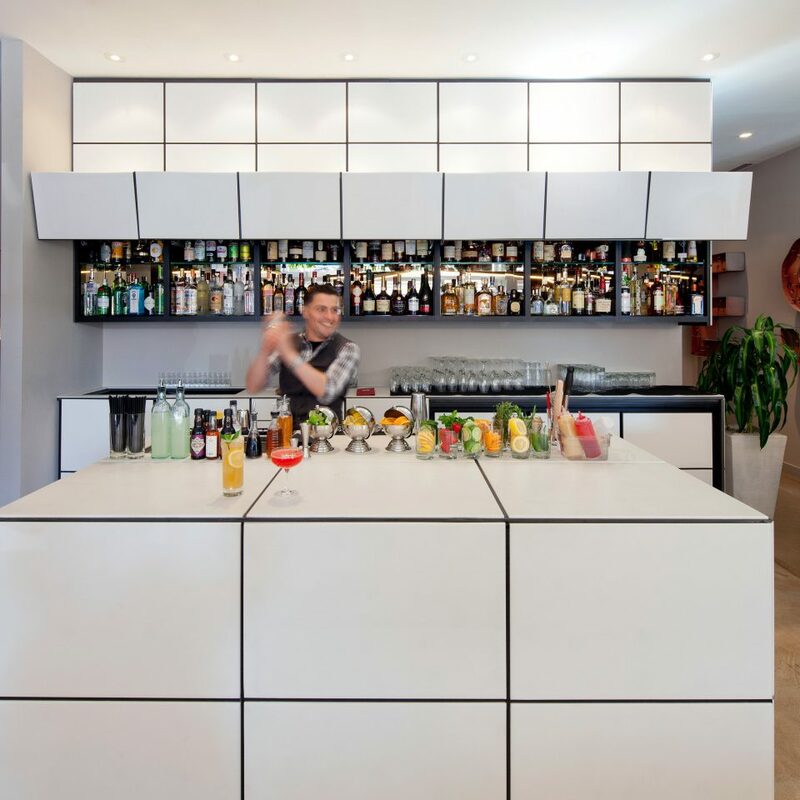 Staff were all remarkably upbeat and remarkably helpful--treat yourself to a stay here! Hot water would have made it a perfect stay! 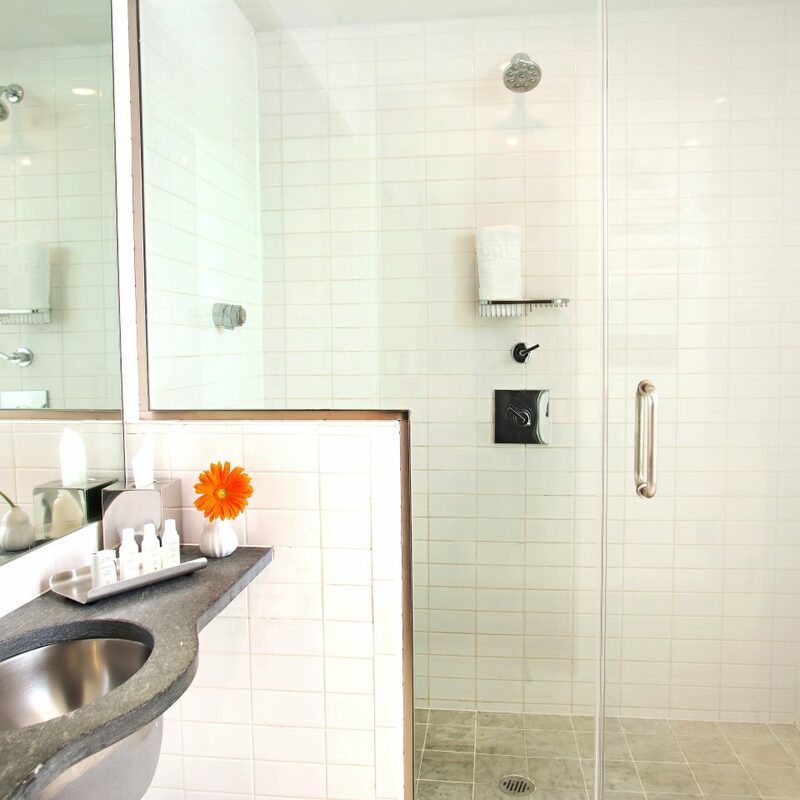 As a repeat guest of The Nu Hotel Brooklyn, I knew to expect their admirable warm hospitality and very clean, attractively appointed, modern hotel rooms. The Hotel hit many of the right notes during my recent stay, except, I did not have hot water. I did not realize that until I tried to take a shower on my day of departure. Upon check-out I addressed this with the Day manager and he most kindly adjusted my bill, and apologized for this problem. I appreciated his consideration and his sincerity. 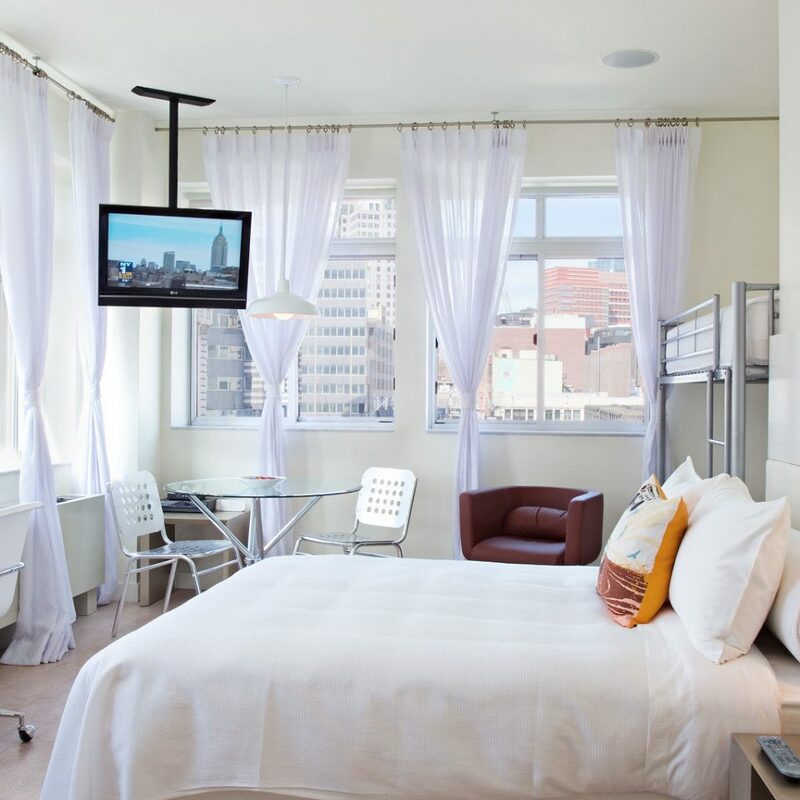 The Nu Hotel Brooklyn is in a great neighborhood with a high walkability score. The front desk staff are warm, welcoming and attentive. I will stay there again, and hope to have water temperature that is appropriate. My wife and I loved the hotel. Great location in the heart of Brooklyn. Walking distance to the Brooklyn Bridge. The staff (front desk and housekeeping) was very friendly and helpful. 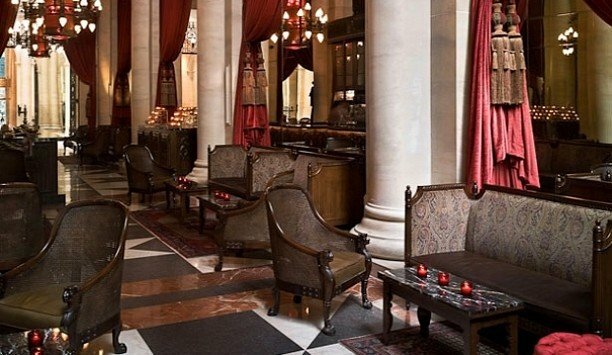 The ambiance of the rooms and the lobby area are relaxing. No major issues at all. Our daughter recently got married in Brooklyn and had the guests stay here. Our 2 day stay was quite pleasant and the staff, while we were there, was quite helpful. However, I was not pleased with my phone interactions before we arrived. Then the person answering the phone was not very knowledgable or friendly. The continental breakfast was very nice, so that is a plus. However, the bar closes at 11pm, which is quite early, and the mini bar in the room had no liquor, only 2 bottles of local wine! Not what I would expect or want!